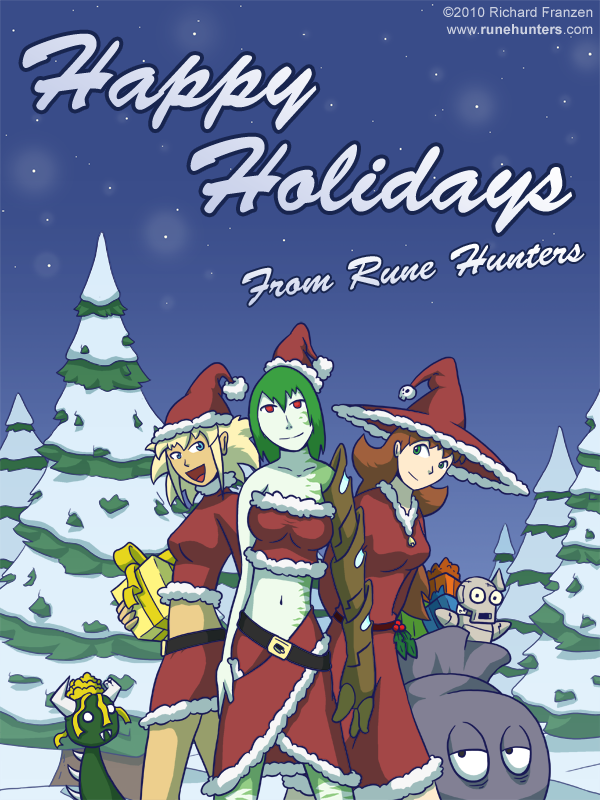 Another year, another Rune Hunters holiday. It’s not really a comic this time. It’s more a Christmas card, from me to you. I was kind of tempted to name this one “Santa’s Little Helpers”, continuing the Simpson’s references started by this year’s Halloween comic.